The nation’s top universities have used paid advertisements to describe as “dumb” the Abbott government’s decision to link research funding to fee deregulation. 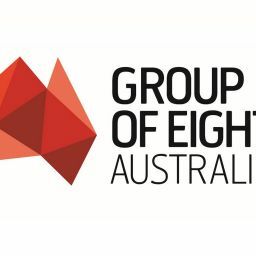 The Group of Eight universities, which include the University of Sydney, the University of Melbourne and the University of Queensland, are the strongest supporters of the plan to allow them to set their own fees. But they’re not happy with Education Minister Christopher Pyne’s decision to make $150 million in research funding contingent on the Senate passing his contentious deregulation legislation. “Shutting down research facilities is such a dumb thing for a clever country to do,” say the advertisements. Universities said $150 million was a small price to pay to keep nationally-significant research facilities open. “We’ll pay a very significant price indeed if we let these facilities go,” Universities Australia chief executive Belinda Robinson told ABC radio. Mr Pyne admitted funding for the National Collaborative Research Infrastructure Strategy was “inextricably linked” to his deregulation legislation. “Labor de-funded it, I’m trying to re-fund,” he told reporters in Brisbane. If the legislation cleared parliament in the next sitting fortnight, NCRIS would be funded and that would solve every problem for the research community, he said.